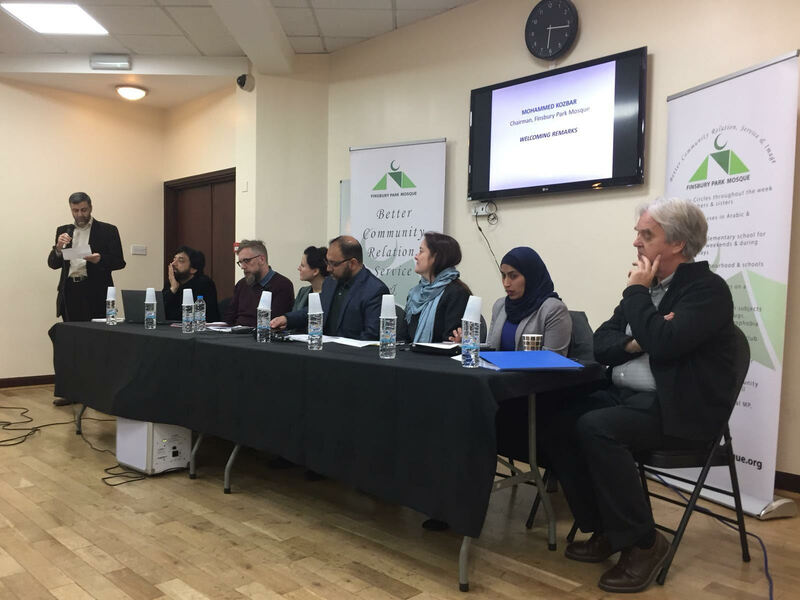 “Confronting Anti-Muslim Hate Crimes in Britain: Challenges and Opportunities”, was the title of a successful launch event yesterday at the Finsbury Park Mosque, to kick-start the mosque’s new seminar series. Mosque chairman, Mohammed Kozbar, welcomed all and thanked the diverse speaker panel representing different universities and think tanks. He said “we have experienced the most appalling of hate crimes including a terrorist attack this year which claimed the life of an elderly member of our congregation. But working with partners and the wider community, we are determined to move on and not let the peddlers of hate divide us”. The Lokahi Foundation and Visiting Professor at King’s College London; Dr Susann Wiedlitzka, Lecturer in Criminology and a Research Fellow in Hate Crime at the University of Sussex; Dr Amina Easat-Daas, ‘Counter-Islamophobia Kit’ Project Officer, University of Leeds and co-author of European Islamophobia Report; Hugh Tomlinson QC, Founding Member of Matrix Chambers, chair of Hacked Off, specialist and author on practitioner texts on law of human rights, civil actions against the police; and Professor S. Sayyid, Professor of Social Theory and Decolonial Thought, University of Leeds and author of A Fundamental Fear, and Thinking Through Islamophobia. Moderated by Dr Abdullah Faliq, Honorary Research Fellow at the London Metropolitan University and convenor of Think Forum, concluded by calling for more engagement between the academic community and British Muslims to better understand and dissect looming challenges emanating from anti-Muslim hatred. Held as part of the national Islamophobia Awareness Month, it was supported by the University of Birmingham, the University of Sussex, The Lokahi Foundation, Forward Thinking and Think Forum.